He's back. After years and years (and years) of false starts and delays, our man Maxwell will finally drop a new album in 2009. Exhibit A is the official first single, "Pretty Wings," which was released online by Columbia Records this morning. 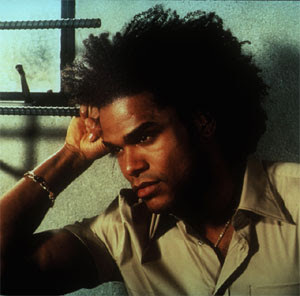 The official release date for BLACKsummers’night, which will be Maxwell's fourth studio album (and first in eight long years), isn't until July 7, 2009. But judging by the first single, it'll be worth the wait. "It’s about the last relationship I had," Maxwell said about the song during a recent interview. "How you meet the person of your dreams but at the wrong time ... the song is a testament to what I wanted to say and say, to her."